Are you looking for the right community or Denver metro neighborhood? There are many communities making up the Denver area. Finding one that best meets your needs can be a challenge, especially when you are coming from outside of Colorado. The Berkshire Group, Realtors will help you understand all your options. Our Realtors can help you understand how Denver housing works, we will provide you with insights into local school districts, transportation, driving times to your employment, amenities and anything else you feel as important. We live here, we know the territory! Need to find the right agent? Your home search is important, it’s not a task to be taken lightly. It’s important to find an agent who can work with you by listening to your needs and going the extra mile to find your next home. Our agents can be matched to you, based on their area of expertise. If you prefer a certain type of agent, just indicate your wishes. Need help with your transition? Working with local professionals has it’s advantages, we can arrange for movers, cleaning people, locksmiths and whatever service you feel you might need. We work with these vendors frequently and certainly would love to help you with these unfamiliar details. Buying a home is a complex process. 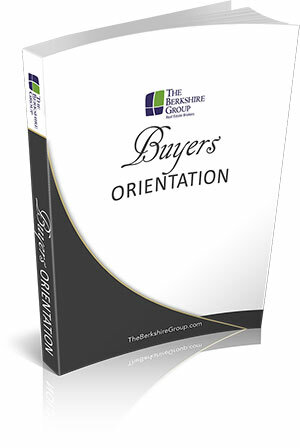 The Berkshire Group helps simplify the process by providing all their clients with a comprehensive Buyer's Orientation Guide. This Guide outlines the home buying process from beginning to end. Our buyers tell us they really appreciated this resource as they found it very helpful. How does a buyer broker help me? Listing a home? Get an O & E!